Welcome to Top Shelf, a new recurring series I plan on running alongside Star Wars and Genre and my non-series pieces. The goal of Top Shelf is to curate the best of the Expanded Universe, the must-reads of the franchise. New readers often approach the EU from the perspective of, “What are the main stories I have to read?” Given the way the EU builds upon itself in one ongoing story, it’s understandable to view things with an eye to the foundations on which the stories are built, the key points of the storyline. New-reader recommendations are often geared to the same purpose. I want instead to create a list of recommendations based on quality, answering the question, “What are the best stories?” This is a list that can appeal to new readers and EU veterans alike, as established readers may find that they’ve missed something that is “unimportant” but excellent. For those who know the stories already, Top Shelf can serve as an EU Hall of Fame recognizing favorites. I want to start with the six-issue 2001 comic miniseries Jedi vs. Sith. Jedi vs. Sith is the story of the end of the New Sith Wars a thousand years before the films, in which the Sith were thought vanquished, but Darth Bane survived to refound the Sith in adherence to the Rule of Two. This is an “important” story, though somewhat obscure, but the galactic impact of the events isn’t what makes the story. 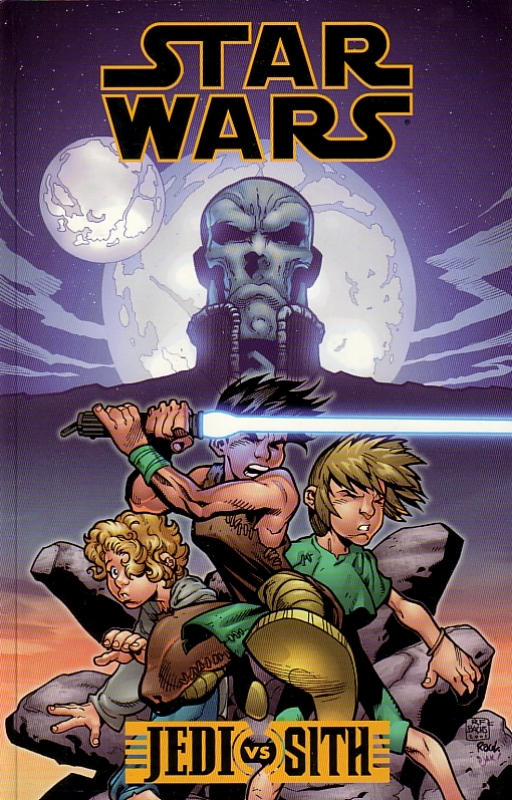 Author Darko Macan, among the best writers to work in Star Wars comics, focuses on the experience of three children drafted into the war by the Jedi. Through their various journeys, Macan addresses what it means to be a Jedi, how one can fall to the dark side, and the cost of war. The child protagonists don’t mean that the story is childish; rather, it is deeply adult, depicting the most horrifying turn to the dark side in the entire EU. It also dares to examine Jedi ideals. After a thousand years of unrelenting war against the Sith, the Order is in a perilous state, mired in a dark age as Jedi who have known only war succumb to weariness and disillusion. These Jedi are heroes, but exhausted by battle, disappointed that heroism isn’t a storybook affair, and flawed. 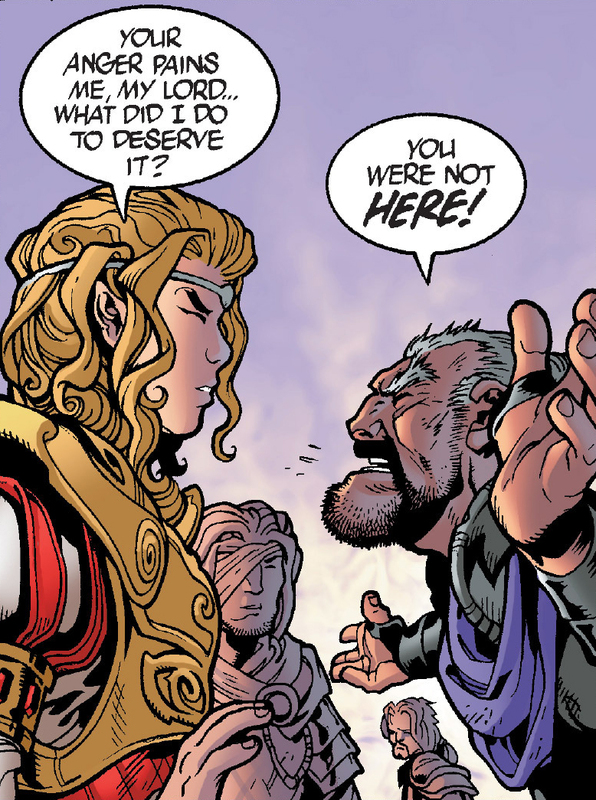 Their leaders, Lord Hoth and Lord Farfalla, clash over philosophy. These Jedi are deeply human. As they continue to fight the Sith despite it all, we understand that true heroism is all the greater under such harsh conditions, carried out by fallible people. This challenge to idealism resonates in the storylines of the children. One is angry, one idealistic, one naive. One, after much hardship, comes to understand the heroism of these grubby, worn-down Jedi. Two are infuriated by the shabby reality. Two join the Sith. One rejects both groups. One suffers heartbreak and loss. These children, initiated into the adult world of compromise, flaws, and complexity, bring that process of maturation into the open for the reader and call into question our relationship with heroic stories while ultimately affirming their values. Meanwhile, the Sith are presented with the same eye toward philosophical complexity. These Sith, heavily rewritten by Darth Bane: Path of Destruction into a more generic and boring form, are here vibrant and interesting. Darth Bane is presented as a grizzled veteran, returning from a betrayal by his fellow Sith to find them led by the madman Kaan. As Bane struggles to find a way past the Sith pattern of backstabbing, attempting to unite ambitious and short-sighted squabblers against their Jedi enemy, he realizes the value of the Rule of Two: Sith competition harnessed by a structure that restrains and channels strife toward the betterment of the Sith Order. This Bane is imposing and terrifying, a religious zealot who believes in the power of the undiluted dark side and seeks to find a way toward Sith cooperation in its service. In the end, he takes an apprentice — from among the children. The moment is chilling, heartbreaking, and perfectly captured. The art of Ramón Bachs has come in for some criticism due to some of the fanciful designs associated with the foppish Farfalla, but in truth it is also an important component of the story. Bachs’s designs convey the grit of the war-torn period without becoming grim or dreary; the art is stylized and pops with energy. Bachs also hits just the right note of medieval-inspired looks for the militarized Jedi Knights entrenched in a historical, semi-feudal dark age. He makes the period distinct and historical-feeling without going overboard. Jedi vs. Sith is a thoughtful, mature comic with something to say about the nature of heroism and intelligent, unique portrayals of the Jedi and Sith. Its storytelling is masterful and gripping. The end result is a beautiful, haunting instance of real literature under the Star Wars brand, one of the best stories in the EU and one that definitely deserves its place here. If you haven’t read it, you’re doing yourself a disservice.